Pascal is a French Restaurant offering traditional as well as creative cuisine executed by Chef Pascal Olhats. The chef/owner has been one of Orange County"s favorite chefs for three decades and at the new location, has dedicated an intimate 24-seat dining room as part of his fine gourmet food store. 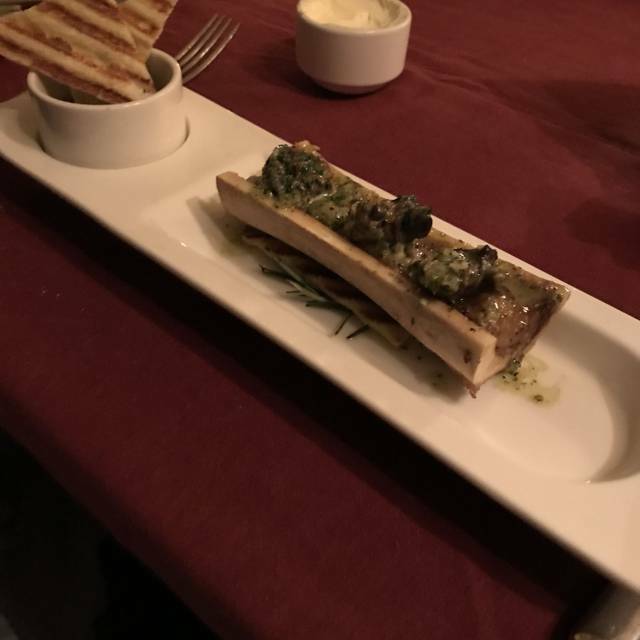 This dining room offers an exclusive prix fixe menu that includes dishes that are now signature of his cuisine and dishes that are prepared with seasonal, mostly organic and from local sources. The decor and table setting have French accents with French linen and fresh roses. You may feel like you have just spent a moment in one of France's wine country auberge. Most of the produce is grown at a local farm in Irvine where Chef Pascal enjoys picking it up himself in the morning hours. The cuisine is as close as you could find in France with influence from Provence as well as Normandy gastronomes. Our fave restaurant! The sea bass au thyme is outstanding. So sorry he has to close. What a memorable meal!! Excellent service of exceptional food! What a shame it is closing but understandable reason. Wishing Pascal all the best as well as the new owners best of luck! This was our last meal at Pascal as the restaurant is closing on March 30 sadly. Pascal Olhats continues to be the best chef in Orange County and here’s what he told me the night we enjoyed our last dinner “look for my food somewhere else, like “Where’s Waldo?”” I’ll be looking. 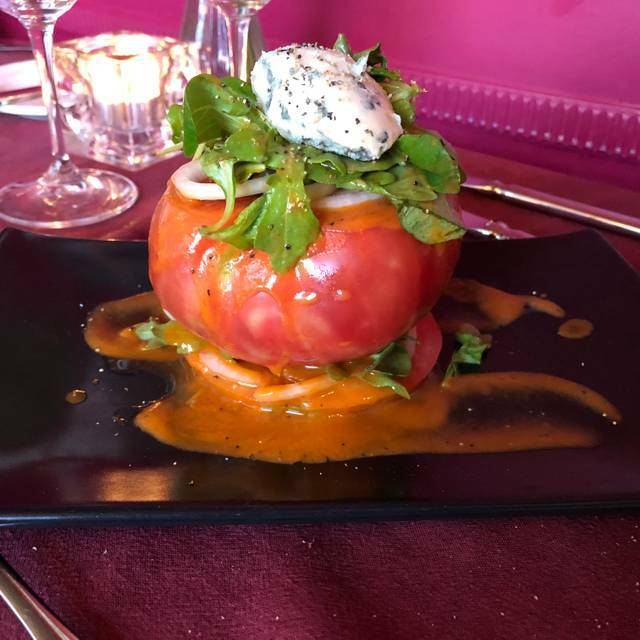 Although the ambiance is somewhat casual (not like his original restaurant in Newport with linen tablecloths and tons of roses everywhere) our meals at Pascals were perfection! We started with the oysters - so many amazing flavors sharing one shell- wow! My salad was amazing too; I loved the egg on top. But the true star for me was the Thyme Crusted Seabass. It was incredible!! My hubby had the rabbit and loved it too. Pascal Olhats is truly such a talented chef and in my opinion he put fine dining on the map in Orange County. What can I say, the guy is a rock star. I hope to enjoy many more of his perfect meals. Pascal has been our go-to restaurant for birthdays, anniversaries, Valentine's Days, and any other special occasions for the past several years. We have never ever been disappointed, and the incredible service from head waiter JB has always been like being served by a close friend. Pascal is a gem from bygone days in today's jungle of noisy, see-and-be-seen restaurants that appeal to today's millennials and diners with egos. With just eight tables in an intimate setting, this is a one of a kind romantic venue. 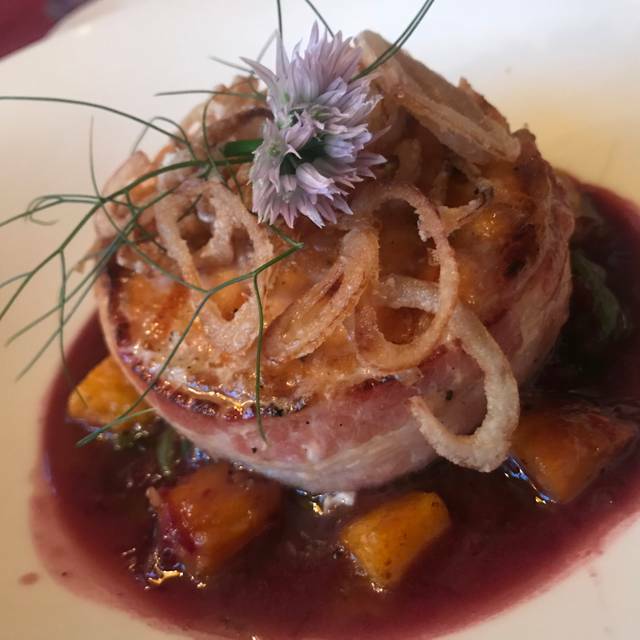 Sadly, on last Friday night's dining experience we learned that Pascal in San Juan Capistrano will be closing following next Saturday nights dinner - March 30, 2019 - a sad day indeed. Even more sadly, this is being brought about because of some health issues and struggles by famed chef Pascal who will be stepping back a bit to smell the roses and focus on his remaining dining enterprises in the Newport Beach area. Thank you for so many great meals over the years Pascal, and God speed back to good health and a more stress-free life! We are at a loss as to where to find another venue equal to your San Juan Capistrano facility. Love Pascals. Always a wonderful experience. Fabulous food and service. An amazing family experience in exposing them to French cuisine. A special evening for us. A hidden gem. Cheers! We enjoyed dinner at Pascal on Friday evening. The food was excellent overall. The service was a little slow, but I took this to be part of the French ambiance. I read that Pascal is closing on 3/30 and a different owner is coming in to make changes and turn it into a French veggie place (seems like a contradiction in terms). So, our new found quiet place with very good food will soon be gone. I had been wanting to try this place for awhile and when I read that they were closing that was the catalyst that got me in there. I wish I had gone sooner because the food was outstanding and we really enjoyed our night. The only reason it wasn't truly 5 stars was because the service was very slow. We were only drinking water and our glasses were empty for extended periods of time. Aside from that we enjoyed our meals very much. This place will be missed. The dining room is small and only has about ten tables. It is adjacent to the 'take-out' portion of the business. There are also several 'diner-type' of tables in the take-out area. the dining room is pleasant enough but not what creatively well done. But you are not there for the view, you are there for the food, which is wonderful; The service is excellent and the head waiter is very knowledgeable; ask him for wine pairings. They have a four-course meal for $75.00 where you choose an appetizer, salad/soup, main entree, and dessert from any of the items on the menu. You can also get wine pairing for an additional $40. It is a little pricy but well worth it. If you are not that hungry, they have a three-course plan or you can just order off the menu ala carte. We had the French Onion Soup for a starter. I had the Sea Bass for an entree and my wife had the rack of lamb; we finished with the dessert sampler for two. It was all excellent, we'll be back soon and encourage you to check it out. As always, the food and the service were wonderful. The Sea Bass is always delicious and never disappoints. My wife had excellent bacon-wrapped salmon that also was delicious. The Onion Soup is so tasty, and the foie gras appetizer was fantastic. And as always JB provided great service, was funny, and helped make the evening a beautiful experience. I can not recommend Pascal’s highly enough. Truly a neighborhood gem that should not be missed. We had been wanting to try the restaurant for a long time. It was a great surprise - terrific food and intimate. The food at Pascal's is excellent. We had the Octopus appetizer, pear and goat cheese salad, bouillabaisse, as sea bass -- all very tasty. The Chilean Pinot Noir wine was outstanding. If you wish to bring your own wine the corkage is $18. It is so difficult to find a restaurant with the quiet and elegant ambiance offered by Pascal. So often we leave restaurants with disappointment because it was so hard to carry on a conversation with all of the super-charged energy that seems to be vogue today. Give me the Pascal experience anytime! Pascals is terrific and the waiter JB is one of a dying breed. Totally professional without being too stiff and formal. The guy has personality and pizzazz and serves the table with top notch style. The food is always terrific.... try the bouillabaisse and see how it is cooked in the old world. Not a large place so it gives the ambiance of a country restaurant in rural France. As always we enjoyed everything about our visit...food, service, ambience. We did miss seeing pascal tho this time! Amazing food and service. Pre fixe menu with wine pairing is over the top. Happy birthday to me! The sauce with the sea bass dish was delicious. 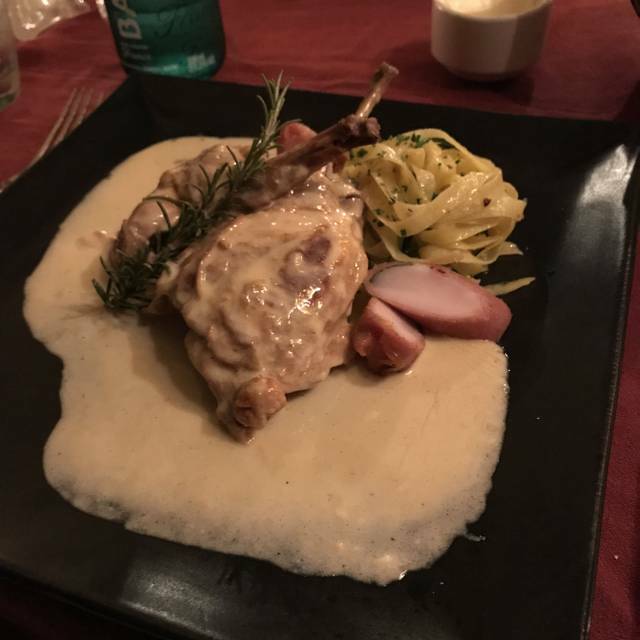 The rabbit was also very tasty. My wife loves French onion soup and she thought it was the best she had ever tasted. It takes us about 2 hours to get to Pascal, but it is worth the drive. Our third visit in about a year, the menu hasn't changed much, but Chef continues to plate interesting variations of the menu items. Everything was delicious, and the (very small) restaurant was packed for the evening. The single waiter had his hands full keeping up, but did an excellent job. It would be nice to see some new, seasonal entrees. Yes, we will return. We were celebrating a birthday. JB, our server, made our celebration so wonderful. He selected a wonderful Cote du Rhône wine for us. We started out with the wonderful Onion soup. It was so feeling and warming-it also came with a small glass of port. We all enjoyed the Chilean Seabass and Lamb Chops- both with wonderful sauces. Everything was made with such care and beautifully presented. We finished off our course with the lava chocolate cake and custard. Pascal is amazing! We will look forward to our next visit. Wonderful French food, exceptional in the OC, JB was a delightfully charming and efficient server. Great wine pairing recommendations. Can’t do any better for classic French cuisine ! Thanks to Pascal! Most of the reviews were 5+, so my wife and I decided to find out, and we were not disappointed ! Outstanding French food and wines in a small dinning room suitable for conversation. We had the Sea Bass, which was likely the best we've ever had. Dedicated owner/chef who delivers the best of French cuisine. A hidden gem in OC. Top level French cuisine. Small intimate, like an auberge in the French countryside. Pascal was trained by Paul Bocuse and the cooking proves his expertise. Wonderful food. We had a birthday celebration at Pascal's and enjoyed an outstanding evening. They have one seating for the evening and spend their time making the dining wonderful for all diners. We love this place. The food is always amazing, and the service is friendly and fun, yet still professional. Food was excellent, helped with ordering so that we did not order too much food. Had a candle on the cheese plate for my birthday . Going to try lunch next. Fabulous as always. We were a party of 6 and everyone enjoyed their 3 course dinner. One of us has dietary restrictions and it was no trouble to change dishes to make sure it worked. Wine was reasonably priced too! PASCAL IS ONE OF THE FINEST CHEFS IN ORANGE COUNTY. 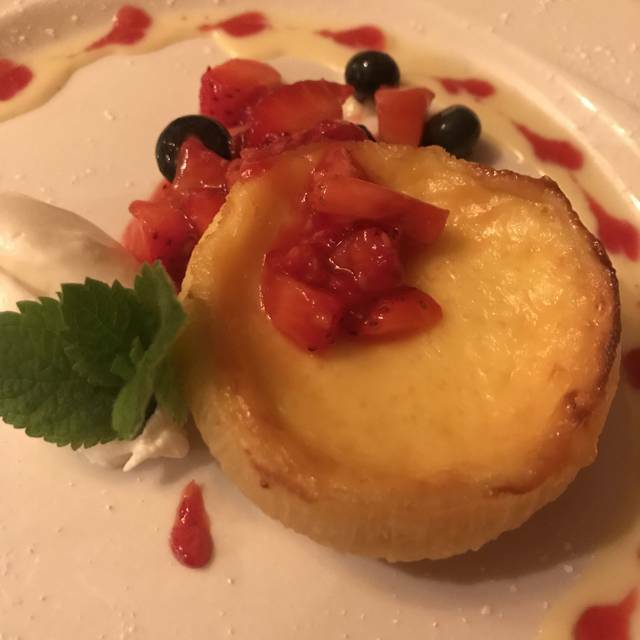 HIS AUTHENTIC FRENCH CUISINE IS ALWAYS PREPARED FROM THE FINEST INGREDIENTS, IN AN IMPECCABLE MANNER, AND PRESENTED BEAUTIFULLY AND ARTFULLY. SEATING IS LIMITED SO SERVICE CAN BE PERSONAL AND PROMPT. IT'S ALWAYS A SPECIAL OCCASION TO DINE WITH PASCAL! We met Pascal through his dining experiences at Sherman Library and Gardens, and after enjoying several dinners there we went with our 4 co-diners/friends to Pascal’s restaurant. From Pascal’s personal greeting when we arrived to JB’s attentive service to the amazing food, we couldn’t have asked for anything more. 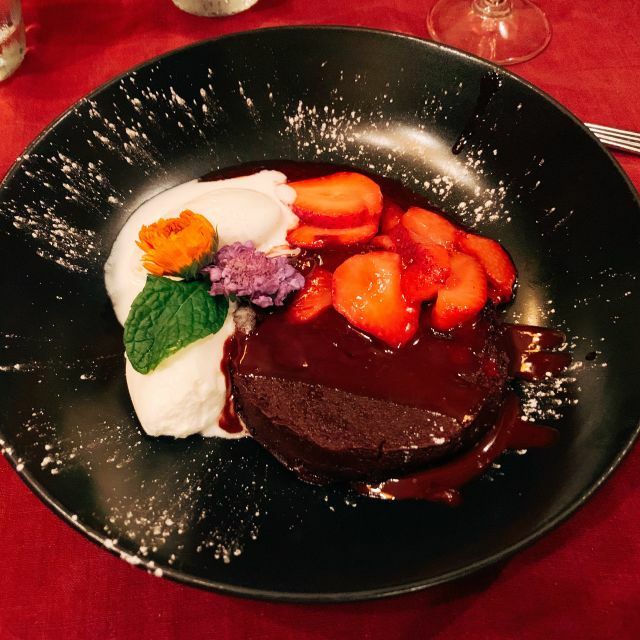 We especially recommend the grilled octopus, beet salad, duck a l’orange, sea bass, lamb chops, and any of the desserts. They also have a pastry case in front so if you just want a snack or dessert to go, I’ll bet you will be glad you stopped in. Side note: I personally wish he wouldn’t offer foie gras due to the inhumane treatment the ducks/geese endure so I hope he will reconsider this. One of our favorite french restaurants. It never disappoints. While it might seem a bit more expensive than some other restaurants, the quality makes up for it in every way. Highly recommend. Pascal has good French food, which is hard to find in OC. Having said that, the same problems remain--two waiters, overworked, one hustling like mad, one in slow-mo mode. Actually, the menu has become a bit boring--they got rid of the duck confit on the dinner menu. Why? Plus, why is the duck breast served luke warm? This happened last time, too. I think carry out and lunch is the way to go. High quality food, with no expectation of good service. Celebrated my birthday and everything was perfect! Food, wine, service and I couldn’t pick a more perfect place!